The West Shore of Lake Tahoe depicts the “Old Tahoe” lifestyle. West Shore includes Tahoe City, Sunnyside, Homewood, Tahoma, and Meeks Bay. Venerable pines whisper stories of foregone Washoe Tribes and local museums echo historic sentiments. Mark Twain once frequented these stately woods, as do San Franciscans who construct lavish vacation homes along the West Shore to launch their yachts for sweeping bay tours. Surrounded by such untouched beauty, you might never want to leave. This side of the lake attracted the Washoe Indians, Lake Tahoe’s earliest residents reportedly 9,000 years ago. Several years later, gold rush miners came to relax. In fact, Chambers Landing, est. 1875, is the region’s oldest bar and is still bustling today. Look for Homewood Mountain Resort’s renovation. 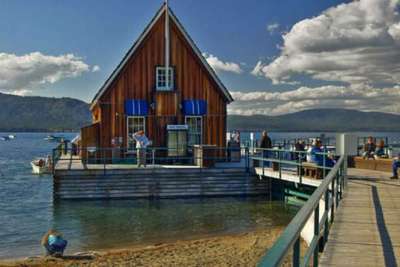 Plans include a quaint pedestrian village, mid-mountain lodge, gondola and underground parking.